At Pharmhealth, we can test your cholesterol levels for you. Experts agree that men should have their first cholesterol screening before age 35 and women before age 45. To stay on the safe side, you may even want to begin having your cholesterol tested every five years after age 20. If you have been diagnosed with diabetes, heart disease, stroke, or high blood pressure, or if you are taking medication to control your cholesterol levels, you should check your cholesterol every year no matter your age. 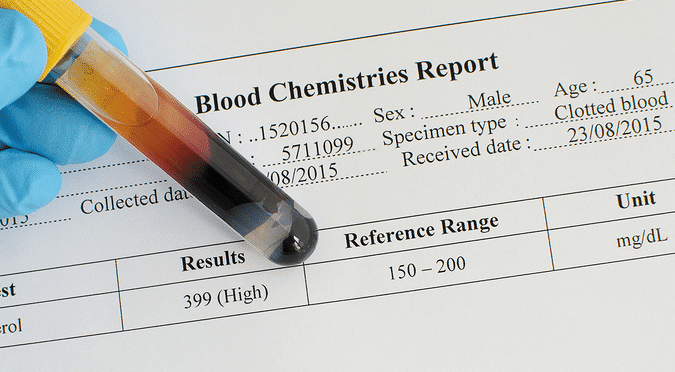 Who is at risk of developing high cholesterol? All of these things can increase your risk for developing high cholesterol.